On that first Easter Sunday morning Jesus walked out of the tomb. In rising again from the dead He became the Victor over death. Did you know He didn’t just gain victory over death for Himself? He didn’t do it only to show the world that He is God. He came alive for us; for you and for me! If He had stayed dead we would have no faith and no hope of forgiveness, to experience His power in this life, and live with God in eternity. Because Jesus triumphed over death those who trust in Him can experience new life! You, too, can be alive! How can we experience this new life in the here-and-now 2,000 years after Jesus rose from the dead? The book of Ephesians says God, “made us alive together with Christ.” What does that mean and how can we walk in this newness of life each day? 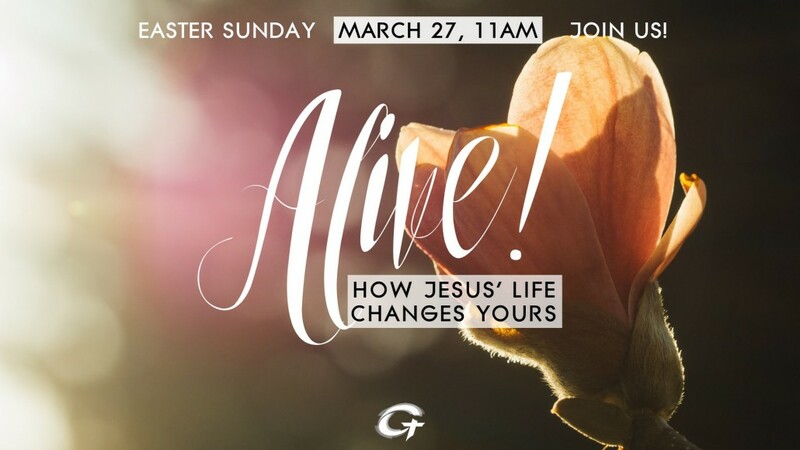 In our worship service on Easter Sunday we’ll look into this truth and discover how Jesus’ resurrected life changes our lives today. Join us at 11am, Sunday, March 27th for our Easter Worship Service at Hyatt Place Hotel. WE ARE FAMILY: Current Sunday Message Series DO YOU NEED A HEART CHECK?